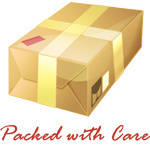 Knowledge Base :: What is Baltic Amber - Amber Jewelry Store | Online Gateway to Amber Necklaces, Bracelets, Prayer Beads, Baby Teething Necklaces, Pendants, Amber Stones with Insects and Amber Earrings. Perhaps he was right, because Amber has a certain mystery surrounding it. Obviously, there are different types of stones such as Baltic Amber - a beautiful fossil resin resulting from trees, with an origin dating from 50 million years ago. It is believed that this gem is the result of a Northern European pine tree that produced large amounts of resin during extremely warm climate changes. Another interesting fact beside age, history and diversity is that Baltic Amber is one of the rarest types in the Amber family. The world’s finest Amber is considered to be Baltic Amber from the Baltic Sea. 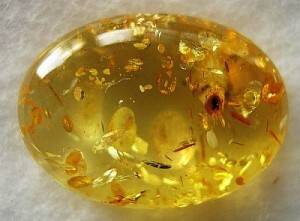 Amber can be found practically anywhere, underwater or underground. 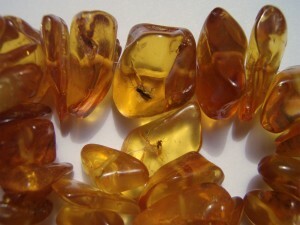 The European places where large quantities of Amber are found are Russia, specifically Kaliningrad, holding over 90% of the world’s Amber resources; the Baltic States – Lithuania, Latvia and Estonia, where it can be found along the coasts; Poland, where it is washed up on the shores and Ukraine, where the Ukrainian Amber is extracted, although it is not as valuable as Baltic Amber. Baltic Amber is fascinating not only for the reasons above. It is truly a wonder of nature. For example, it can float on salt water, but it sinks in fresh. When it interacts with fire, Amber stones produce a soft burning-pine aroma, the main reason to why it is often used in Aromatherapies and in Medicine. In Aromatherapy, Baltic Amber is used for its calming effects. It is seen as a soft material, with an exquisite variety of shades and colors, tones and hues. And above all, each stone is unique and never the same another. These beautiful, mysterious features are the result of chemical reactions and nature’s wonders. It is important to know that Baltic Amber is found in solid formula, as it is a hard stone. Its hardness measures approximately 2.0 to 2.5 on the Mohs scale, with a density varying from 0.96 to 1.096 g/cm3. By far the most fascinating fact about Baltic amber is that this stone is still alive, due to its negative electrifying and a continuous internal metamorphosis.